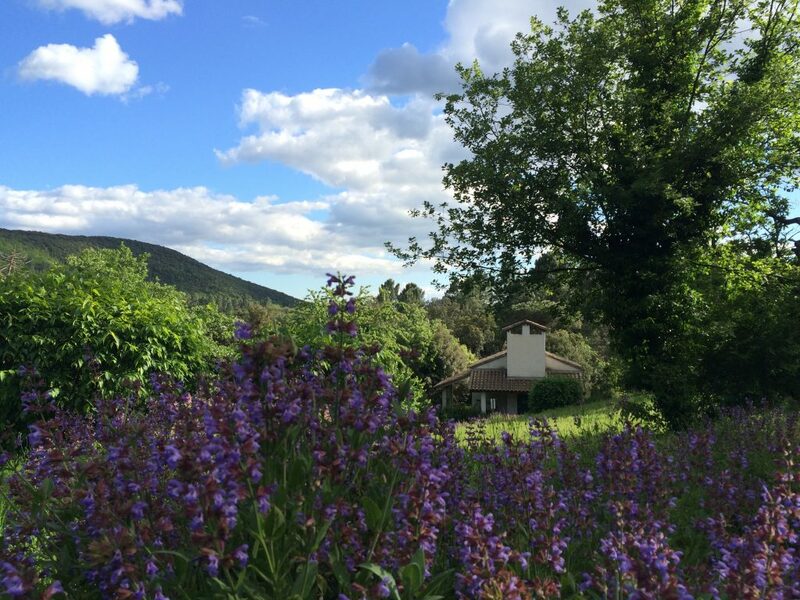 I just spent 10 days in the Marie de Mazet project, a beautiful property in the middle of the French Cevennes, where about 60 different medicinal plants are cultivated and harvested with only pure water. Marie is the founder of the project. 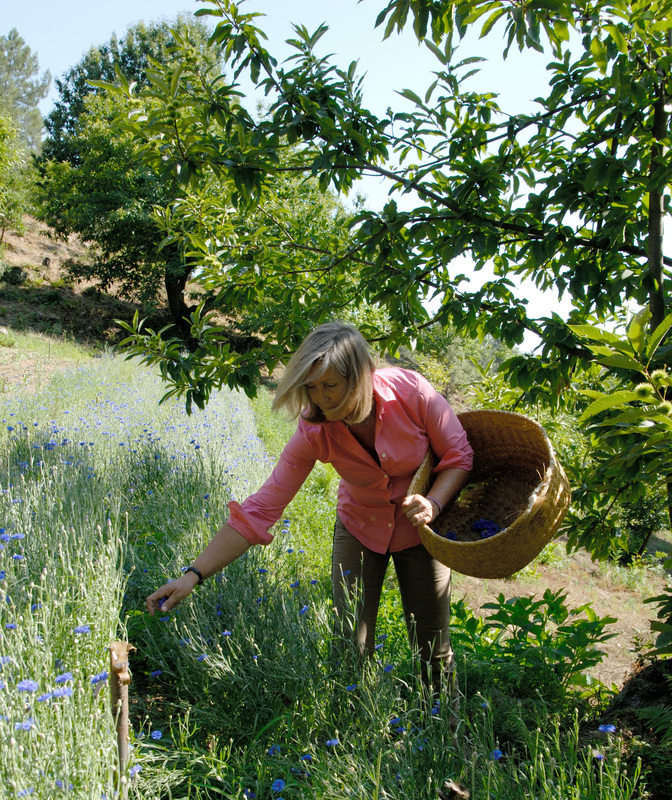 She is a former journalist that left Paris to settle at the Mazet and become a farmer. What brought her to such a change in her life? Her will to make these 70 acres of land become useful to others and save their ancestral purity. “It seemed inconceivable to me that a plant destined for human health could become polluted. Such a plant must be natural, with no pesticides, or hormones, or chemicals and free from heavy metals. The soil that nourishes it must be healthy and the water pure. I was lucky, we were far from the pollution sources of modern life” (extract from Marie d’Hennezel’s book, « Plantes médicinales d’hier et d’aujourd’hui »). I must admit that when I first arrived at Mazet, I had a brush with burn out. I was arriving after 2 months of little sleep and huge stress; after a break up, after moving out of a country. I had kept faith thanks to the happy moments of sharing and collaboration that I’ve had throughout the preparation of the project but the time had come for me to change my way of life. Marie prescribed me a cure of nettle tea (the nettle leaves are rich in iron, oligo-element, they invigorate and give your energy back; they also treat anaemia and heart failure, commented Marie) and makes me drink her Tis’ups (cold drinks mixing fruit juice and herbal teas entirely cultivated on her property). I spend my days lulled by the sound of the singing birds, the music of the wind in the trees and the insects buzzing. I quickly felt soothed by content. Don’t imagine that I spent 10 days admiring my environment though, you’ve got to know that at Mazet we don’t hang around! From 8 in the morning, Marie and her little team tackle the tasks: weeding, picking, drying, sending parcels, welcoming the visitors to Mazets’ “remarkable gardens”. After my first day of work, my entire body was stiff. But Marie comforted me and told me that before she started, she had never even planted a rose bush! “My knowledge came in action. Step by step, […]. Picking after picking, my perceptions became more refined. You only have to watch, I keep saying it. Vegetables only want to show their generosity, but they want to be well treated. If we don’t transmit any negative feeling such as anger or nervousness, an exchange occurs.” Extract from Marie d’Hennezel’s book, « Plantes médicinales d’hier et d’aujourd’hui »). For the dryer in Mazet, she chose an alternative solution for the solar panels (“which don’t recycle”, she recalls). With the help of an architect, she conceived a building where floor, walls, windows, hatches and adjacent greenhouses are made so the air circulates and lets the plants gently dry and keep quality and minerals. The plants, treated with love, are used to make herbal teas, essential oils, hydrolats, marmalades and organic homeopathy (marketed by Sevene Pharma lab). I was already using herbal teas and essential oils on a daily basis, but now I will do it with more consciousness! Thanks Marie and Bertrand for letting me inaugurate my Tour of France by your side in this exceptional project. 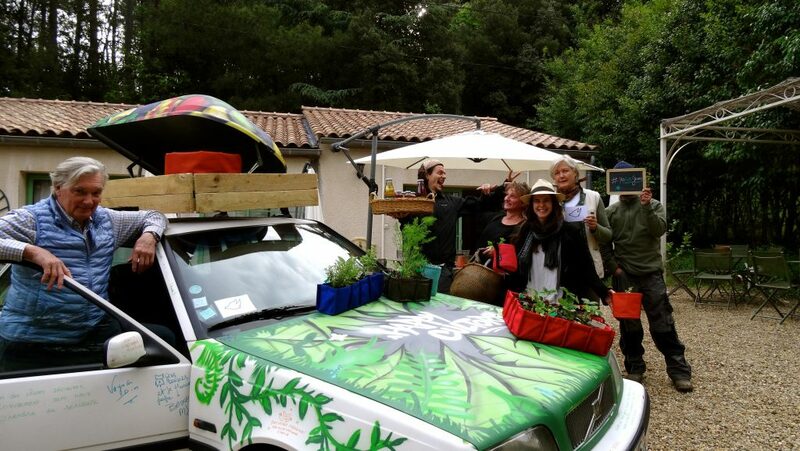 Check out the Mazet Domain online www.mariedemazet.fr and with the app YesWeGreen!